A calm precedes every storm. The reprieve remains necessary for the right energy to eventually re-ignite the elements at the appropriate time for a storm to gather. 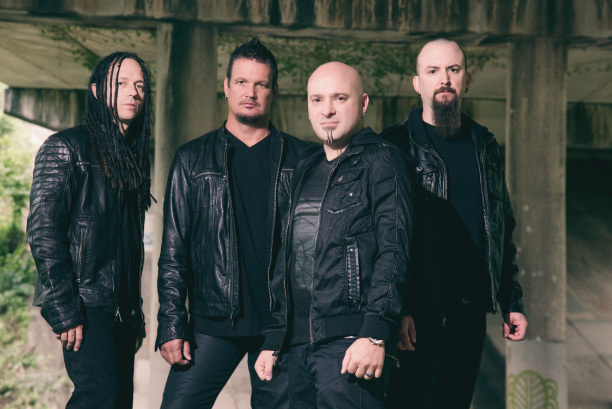 After announcing a “hiatus” in 2011, Grammy Award-nominated, multi-platinum hard rock titans Disturbed knew that their imminent return would happen during such a moment. The members—David Draiman [vocals], Dan Donegan [guitar], Mike Wengren [drums], and John Moyer [bass]—put a plan into play. In 2010, the group’s gold-certified fifth offering, Asylum, became their fourth consecutive #1 on the Billboard Top 200, an accolade shared only with Metallica and Dave Matthews Band. They had sold out arenas everywhere on the subsequent tour, and it was time for that calm to commence.